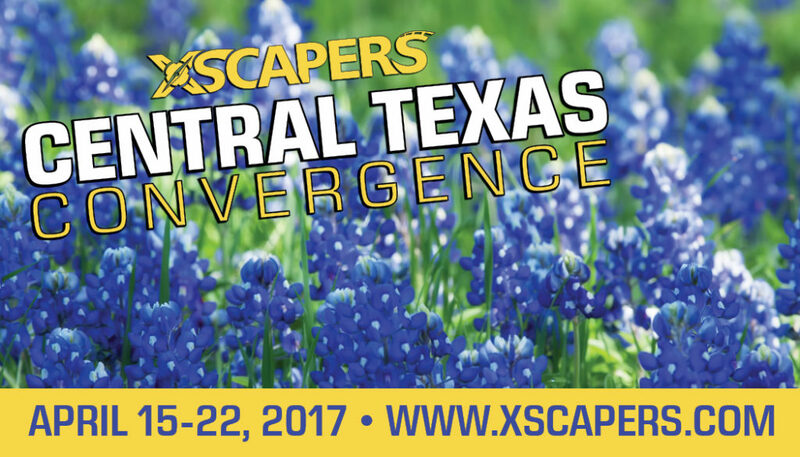 Every January, hundreds of Xscapers converge in the desert Southwest. What started as a small gathering where people met to share stories, knowledge and laughter around the campfire, quickly turned into something bigger and more meaningful. This community building and educational RV gathering is geared toward the working-aged RVer. The week is packed with daily activities from professional live music to a street fair and some that you won’t find anywhere else such as our annual Margarita Throwdown. 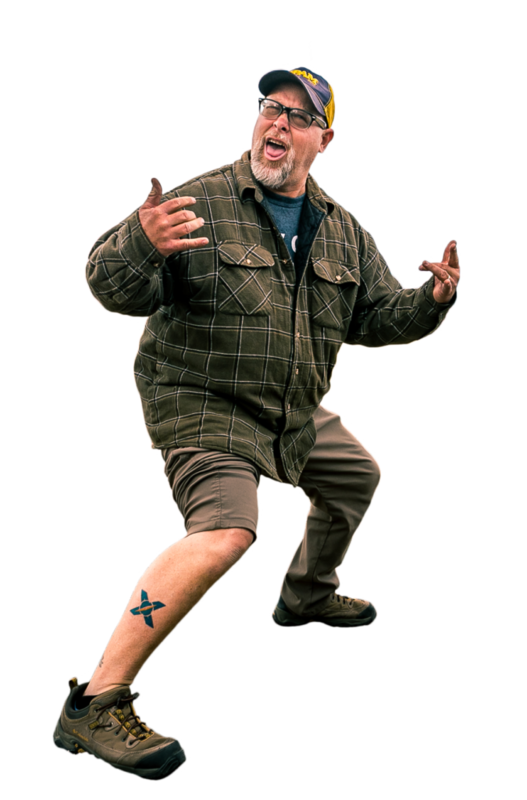 Don’t worry though, alongside the fun, there will be plenty of opportunities for education with our daily featured speakers who have years of fulltime RVing experience and are some of the biggest names in the RVing community. Many people who come to the event are also first-time boondockers, so it’s an excellent opportunity to be surrounded by others with experience who can help out with questions or issues. We’ve got your back! The best part of all will be the friendships you will make. For some people, this is their first attempt at building a community on the road, and for others this will be another convergence in the books. You will all have one thing in common though and that’s coming together to meet new like-minded people and share in your experiences. 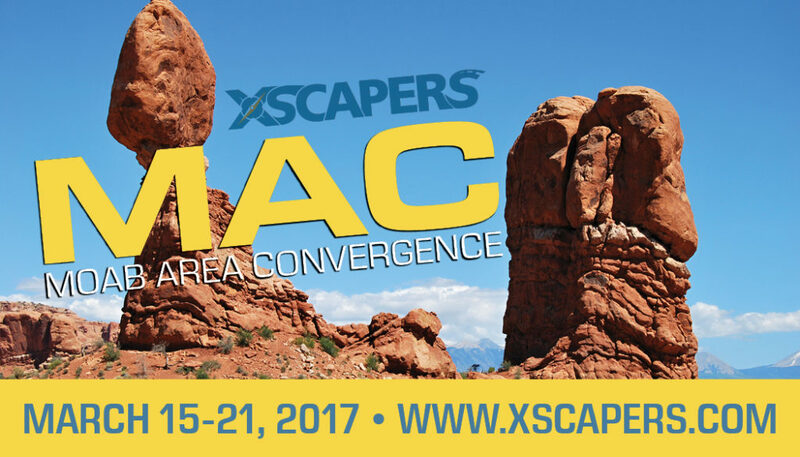 You’ll quickly find your Nomadic Tribe within Xscapers and it will be the #1 value of attending this event! 6:00 pm – Welcome Party! Get your groove on with an 80’s themed outfit. Wear bright colors and some fiesta gear! Neon and lights! Let’s do this thing! We are going to have an awesome line up of speakers this year! These featured speakers are avid community members and were hand picked to share their experience and knowledge on a variety of topics. 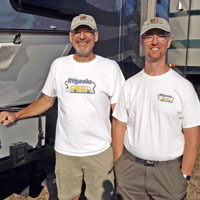 Better known as The RVgeeks, Peter & John host one of YouTube’s most popular channels about RVing, as well as the upcoming PBS TV series, The RVers. 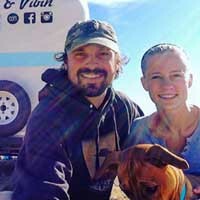 Drawing on nearly 16 years experience on the road as full-timers, their DIY and How-To RV videos have been viewed more than 32 million times by over 133,000 subscribers. They have also run a successful mobile business for over a decade, designing websites for RV parks as they travel. This past year, Peter & John began a major upgrade to the electrical system of their 2005 Newmar Mountain Aire, including 600 amp-hours of lithium battery power. They’re eager to share what they’ve learned about the pros and cons of different types of RV batteries (they’ve had both flooded lead-acid and AGM) and welcome the opportunity to share their experiences. Heath and Alyssa Padgett have been living, working and traveling in an RV since their wedding day in May of 2014. According to their parents, they are on permanent-vacation. According to Heath and Alyssa, they work every day. There is probably a middle ground of truth here. 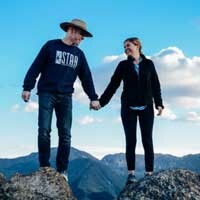 During their first year of marriage, Heath & Alyssa traveled to all 50 states filming a documentary called Hourly America where Heath worked an hourly job in each state while Alyssa filmed the adventure. Their documentary work has been featured on CNN, CBS, Fox, Forbes and has led to consulting work with brands like Chick-fil-A, UPS, and Winnebago. Together they run HeathandAlyssa.com, one of the most popular RV lifestyle blogs. Heath hosts The RV Entrepreneur podcast, where he interviews fellow full-time RVers on what it’s like running a business while traveling full-time. 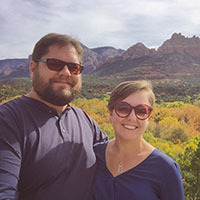 Heath is the CEO of Campground Booking, a software company he started from their Winnebago, while Alyssa manages their production company, Padgett Creative. They also host an annual conference for nomadic entrepreneurs called The RV Entrepreneur Summit. Tim is a certified public accountant (CPA) and full-time RVer since 2014. Tim has worked with small businesses for more than 30 years as a CFO/COO handling accounting, taxes and business development. He has launched several small businesses of his own and currently owns/operates Quest CPA LLC. His depth of experience in self-employment, tax preparation, and operating small businesses, combined with his intimate familiarity with the needs of RVers, makes Tim a great resource for helping fellow RVers navigate the potential difficulties of working while traveling. 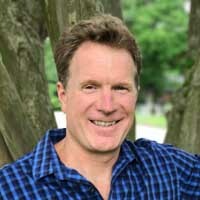 Find Tim at quest-cpa.com. Meet Drivin’ & Vibin’ (Kyle, Olivia and adventure pup, River). They live and travel full time in a 16ft vintage travel trailer. Left their jobs and sold all of their stuff, to pursue life on the road. With a mission to live minimally and deliberately, by removing the clutter and fostering relationships with the community and the natural world. You can follow their adventures and learn more about their lifestyle at drivinvibin.com. There, you will find a wealth of information about free camping, tips for full-time RVing, their monthly budget reports and much more. As an added bonus, you can listen to their album titled Among the Giants that they wrote and recorded on the road inspired by their travels. Kerensa & Brandon hit the road in January of 2014 and haven’t looked back. After years of moving for jobs, they decided to go where they wanted and take the jobs with them. They loved road trips in the car and camping in their pop-up and decided an RV life would be a better choice for them. After an extensive research and planning period, they left with their two dogs and cat in a motorhome to explore the country. 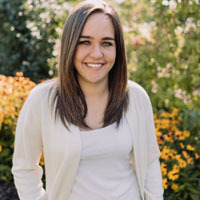 Becky Schade has been full-time RVing since 2012, earning her living through a combination of seasonal work-camping jobs and writing. She started out in a 17′ molded fiberglass trailer and recently switched to a square teardrop. Most people agree that this was an odd choice, but she’s having fun with it so far. Becky was introduced to poi dancing at the first Xscapers Quartzsite Convergence in 2016 and has been practicing regularly ever since. She looks forward to sharing her love for poi at the event that started her own journey. 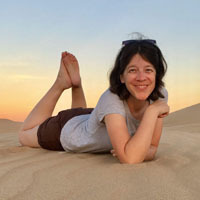 You may find her blog and books online at InterstellarOrchard.com where she teaches and inspires other singles about life on the road. Sean and Julie Chickery are a couple of perpetual travelers who have been living and traveling full-time in their Fifth Wheel RV since 2014. After serving 20 years in the US Air Force, they knew we wanted to keep moving and experience even more of this beautiful nation. Sean & Julie travel slowly and intentionally as they work remotely from their rolling home. They have an informational website, YouTube channel, and have authored a book on the financial aspects of Full-Time Travel (Full-Time RV Finance). 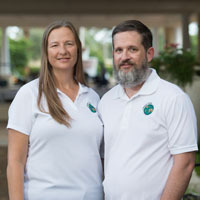 Their goal is to help others prepare financially for the RV lifestyle. Pop Gun Rerun is the Premier 80’s live music experience!! Playing all of your favorite hits from the 80’s by artists such as Bon Jovi, Prince, Journey, Missing Persons, Depeche Mode, The Cure, INXS, Pat Benetar, Madonna, Rick Springfield…and many, many more. 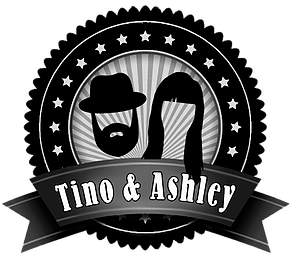 Tino & Ashley are a husband and wife Indie Folk Pop duo currently based out of Philadelphia, Pa. The band has performed countless times across the Unites States and last year alone performed well over 150 events, with each performance receiving rave reviews. Collectively and Individually these two have had many notable accomplishments, which include: Television appearances; performances at world renowned venues such as Walt Disney Concert Hall, House of Blues & Hotel Café; collaborations with Grammy award winning writers and performers; & sharing stages with Shawn Colvin, Sara Bareilles, Sara & Shawn Watkins, Tyrone Wells, Shana Halligan (Bittersweet), Shai Carter, Rob Hyman, Tyler Bryant, in addition to Nick Canon, Sela Ward, Rocco D’Spirito and many others big names in the entertainment industry. They are currently performing numerous events, including: weddings, festivals, private and corporate events among many others. Xscapers Chuck and Michelle perform over 1,000 cover tunes from the 60’s through current hits. They customize every show, providing a “love-that-song, sing-a-long, let’s dance!” experience for their audience. Whether it’s rock, country, or today’s pop hits, every Status Crowes’ show delivers brilliant musicianship with pleasingly blended harmonies in a most unique style. The Modern Mixtapes is a Top Hits Variety Band. This collection of eclectic and professional musicians was built for entertaining casino venues, corporate events, special events and private parties. Based in Las Vegas, the members have all played together for years and came together to provide live, fun music. People don’t usually like ONE style of music. You might hear Rock, Pop, R&B & Country. If it’s a HIT and grooves, we probably play it. This is about the LOVE of music! The Rave Rover is an obscene amount of fun packed into one crazy hot rod. Boasting over 8000 watts of amplified power, dance club quality lighting, enough TV’s to fill a house, custom painted bored 454 Chevy big block engine with enough power to race, it’s own Apple computer full of every song you can think of and TWO DJ mixing board used to keep the crowds energized. This is the most creative, over the top, wild event vehicle in Arizona! 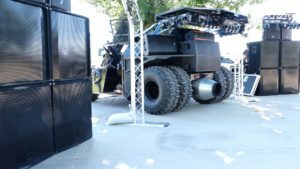 The Rave Rover is featured in national from Nashville to LA including events such as Extreme Machines, Havasu Street Scenes, Lucas Oil Drag Boat Races, IJSBA World Final Jet Ski Races, Big Boys Toys and Freight Night. The Rave Rover dominates the entertainment portion of these events with DJ Boom Bandit spinning live to crowd requests. This is a Boondocking/Drycamping event (No Hookups) at the Lake Havasu Rodeo Grounds. But don’t worry, your Xscapers tribe is here to help you! If you have attended a Quartzsite Convergence or the Annual Bash in the year’s past, things will be slightly different this go around for parking due to the Lake Havasu Rodeo Grounds location. We know… Sitting out in the middle of nowhere has its unique charm and experience and is partially what makes the Annual Bash so special. BLM was our first choice, but the reality is it created many hurdles this year based on the activities we are planning, the size of the group, time of year, permitting, connectivity, facilities and turtles.Yes…we said turtles. While we plan to provide as much space as possible by limiting the tickets sales, there will be organized parking to ensure everyone has a place to stay. However, we’ll be letting you choose a “Preferred Parking Option” this year! Pick one “Parking Option” that best suits your Annual Bash vibe! For those that just go with the flow and don’t see another parking option that better suits them. “What quiet hours?! ?” You know who you are… So if you choose this option, it’s on you! For those that have solar and only run generators when they absolutely must due to weather. Are you a solo? If so, you can park with others just like you. For those with kids. Get together and let your kids make new friends along with you. You may find an answer…or you may not. Q: Do I have to be a member? A: Yep! You must have an active Escapees RV Club membership to join in the fun. 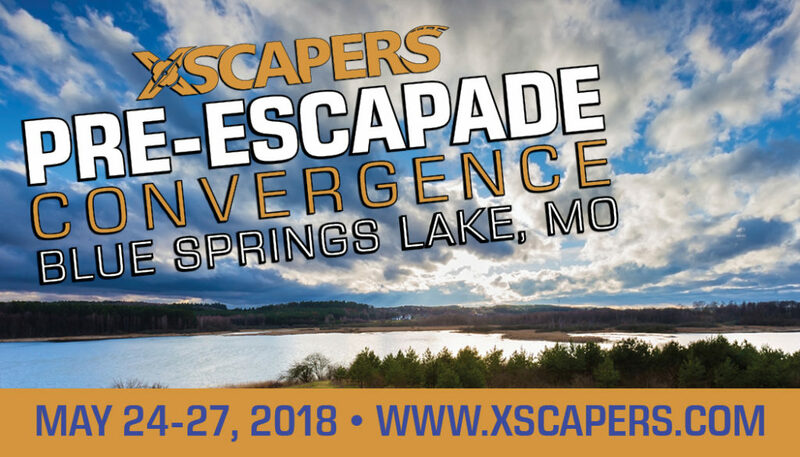 And yes, if you are an Xscaper you are also an Escapee! Q: Can I bring a friend or family member? A: Well, maybe… Contact us so we can accommodate your situation. Q: Should I come with my tanks empty? A: Please arrive with your black & grey tanks empty and full water, enough propane for heat, and gas to run your generators. Q: Can I arrive late or leave early? A: ARRIVE DURING THE DESIGNATED ARRIVAL TIMES! We don’t want our hosts and volunteers missing out on the fun to find you a place to park in the dark. If you can not make it in on the designated arrival day or if you know you need to leave prior to the event ending, please contact us so we can try to make accommodations to your situation. Q: Can I come in early? 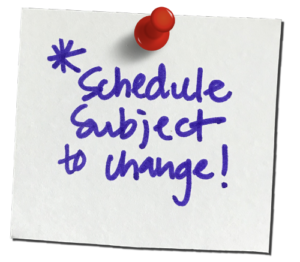 A: Only Boot Camp Express registrants and designated volunteers may arrive before Saturday the 12th. Q: Can I stay longer? A: Nope. We’re sure you will want to head out and link up with some of your new RVing friends anyway. Q: What are the Quiet Hours? A: 11 pm to 7 am in the camping area, except for those that choose the “Party Peeps” Parking Option. Q: What are the Generator Hours? A: 7 am to 10 pm. While no one will probably yell at you if you need to keep your batteries safe, please be courteous to your neighbors. And please, try to not use a contractor generator. A: Of course! We do ask you keep your pet on leash and at all times due the number of other animals and two legged creatures rooming about. We shouldn’t have to say this…but pick up after your pets and don’t leave landmines for someone else to find! Q: Where can I send mail? A: Yes, you can have packages shipped, we will give you the exact address closer to the event. A: All major cellphone networks work well at the rodeo grounds. We’ve also organized WIFi for those working daily at our Internet Cafe located at the main activity area that can be used a communal working space. Q: Where do I take trash? A: There are dumpsters located throughout the parking areas. Q: Where can I get water? A: Water is available on site to fill drinking containers throughout the event. However, you should arrive with a full tank. Q: Where can I dump? A: ARRIVE WITH YOUR BLACK & GREY TANKS EMPTY! There is a Dump Station available onsite for departure day. During the week a pumper truck will be available for a small fee to come to your rig if needed. Q: Will I have electric? A: You mean the thing you plug your thing into? No. But you may use your generator or collect rays from the sun. Q: Can I have a Campfire? A: Propane fires are allowed at your site. All wood fires must be burned at the designated fire ring near the facilities. Q: Can I promote/sell my stuff? A: Marketing? Who has time for that? Just come and enjoy yourself! We will make an announcement if an appropriate situation allows for this. Didn’t find the answer you were looking for or need to contact us? Email: jp at escapees.com, traviscarr at escapees.com, melaniecarr at escapees.com. You will receive confirmation of your purchase along with an event ticket. Please keep this ticket! It will be used to check you into the event and speed up the check in process. You will also receive instructional emails leading up to the event. Please read these them carefully and stay informed! Please join the FB Group page created for this event specifically. This page will be used for communication leading up to and during the event. 10 percent cancellation fee of the full registration amount will be deducted from any refunds 30 days or more prior to the event, unless stated otherwise. No refunds 29 days or less prior to the event. By attending this event, you are agreeing to the following: As an attendee, you assume all risk and danger relating to your personal property, RV and attendance at the convergence, whether occurring prior to, during or after the event. 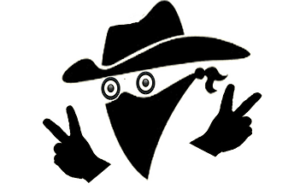 In the event of loss or theft, no claim will be made upon Escapees/Xscapers, its volunteers, employees or agents. Volunteers may be directing and assisting you in your parking areas. However, it is the driver of the vehicle who is ultimately responsible for avoiding obstacles or dangerous situations, and is solely responsible for any damage to one’s property or the property of others. As an attendee at this event, you are granting your permission to be filmed, videotaped, audiotaped, or photographed, and granting the full use without compensation. I thought there was a Mexican convergence Jan 12-21..I don’t see anything written about that.. The Mexico Convergence dates are Jan 27, – Feb. 6, 2019. You can reference the map on the Convergence page. We hope to have the details and registration open on the website this week. Are there full hook ups there? There will be no hookups available at the event. It is a drycamping location. Generators are allowed during designated hours. Check out the FAQ section for more details. If not, where is the dump station? There is a dump onsite for use during departure but we ask that you arrive empty to keep arrival parking running quickly and smoothly. There will be a pump truck available should you need to dump before leaving the event. I see a lot of dog walks. I have two cats that I walk on a leash. I assume that all pets are required to be on a leash for the safety of all (pets & humans)? Thanks! Yes, animals are required to be on a leash. You can check out the FAQ section for more information. Do people typically work during the weekdays of this event? Or is it better to plan to take a whole 8 days off from working? Also, will you have tips for those who have never boondocked for that long? There is a mix of both. Most convergence cater to the working RVer with the schedule. However, because the Annual Bash is the biggest event of the year for Xscapers, there are activities that take place during the work hours. We do try to keep the more highlighted events at Annual Bash in the evenings and weekends as much as possible. The participation level is up to you :). I’d love to join you but there are no events in the northeast. Are you planning to expand? Definitely! We are always on the lookout for new opportunities for our events, and are open to members offering to organize and host them. There is a Convergence in Michigan coming up in September, which is hosted by several Xscapers. Unfortunately, registration is already full for that one, or we would welcome you to join us there. I bought tickets last week, and have the PayPal receipt, but don’t have the ticket number to join the Facebook group. When will tickets be available? We have resent your tickets to the email provided during checkout. Please check your spam folder in addition to your regular inbox. Not having your membership number or card means you are missing out on many of your Escapees benefits. We recommend that you contact our customer service at 888-757-2582 or clubbusiness@escapees.com for help. Travis, How about some coordinates for the Annual Bash 2019. I have looked at 4 maps and the name of the road is different on each of them. Travis, I would like to volunteer to help, but I have some limitations. I use a wheeled walker and can travel several hundred yards, but I need to sit down (on the walker) every so often. I could work in registration, I will be going to the New Year’s Bash so I will be in the area. I could possibly work in Security using my truck as a roving patrol. Put me wherever you can use me. I will staying on site once I arrive. Just so you know I have a constant companion that I can leave in the RV, a 3 year old Doberman that is very friendly, minds well, but still has lots of puppy in her. I signed up and paid, but haven’t received an email, yet, with my ticket. What should I do? I will resend the ticket manually but also be sure to check your spam folder. If you still don’t get it, keep your PayPal confirmation to use during check in. 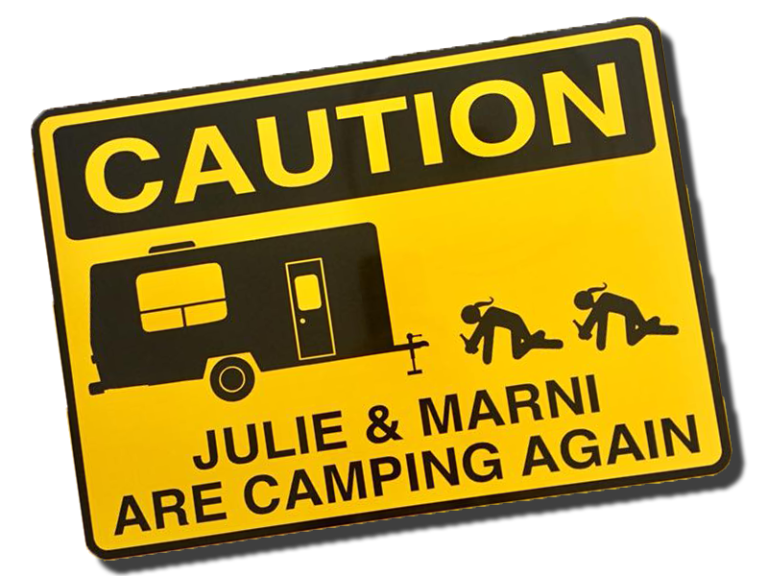 We are a couple planning to full-time RV & work on the road- as soon as we find our RV home, but may not have it before the Convergence… yet would still love to attend. We know it would help just starting out! If we don’t have a rig by then, do people in that situation, or ‘dreamers’ ever come? Is there different pricing if we don’t need an RV parking spot & stay in town instead? Thank you very much! I never received an email with my ticket as of yet. I did just check my spam folder and still nothing. Could it be resent? We have resent your tickets. Please check the email you provide during checkout. I’ve checked my email as well as my husband’s ( spam folder too ) and I just don’t have the ticket. Could we have the wrong email address? I chose solar but have realized I do need generator and Can I be changed to solo group? can I have a generator in the solo group? Thanks for letting us know and we will make the change. Would it be possible to arrive on Monday? I have a business meeting in San Francisco until Sunday afternoon. Yes, restrooms and showers are located at the main facilities area. Sold out already? Let’s move everybody closer together and open more spots! We have created a wait list for those that want tickets but were unable to get them before the event sold out. Here is how it will work…You will be notified if and when there is a new batch of tickets that opens up. Sales will be based on a first come first serve basis. You will not be notified based on the order you joined the wait list. You can get on the wait list by using the “Get On Wait List” RSVP at the bottom of the event page. I tried to sign up but it seems to be sold out. There is a late registration window. But it doesn’t start till Dec16. We REALLY would love to go. We are fulltime since July and barely met other fulltimers. So this def would be our chance. Please let me know it there is a way to get in. Thank you very much! Two married dudes from Kansas City, Mo. just starting out on this life of freedom. Looking to meet new great people. We wish this wasn’t sold out. Will there be a way to “upgrade” a $75 day ticket to a on-site camping ticket ($100 or $125) if we are lucky enough to get off the wait-list? Hate to buy a new ticket and then throw away a $75 day ticket …. Hi Travis! 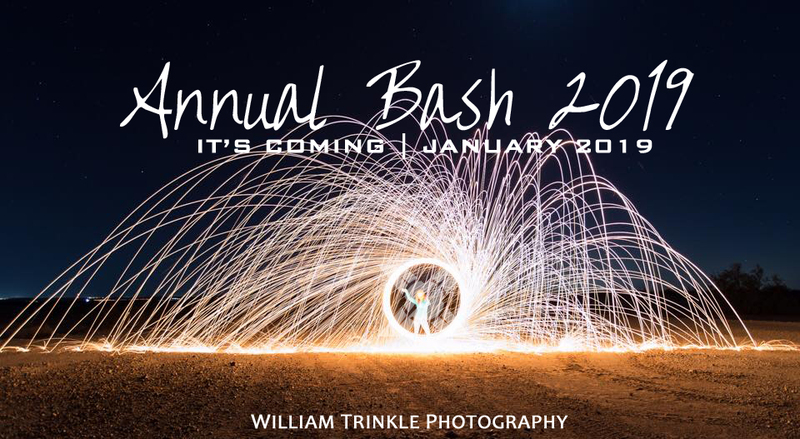 We are already signed up for the Bash, can’t wait! We would like to volunteer, but we didn’t sign up to do so, when we registered. Do you still need volunteers for registration/check in ? Sounds good! We could help with parking too. Our tickets are under my name, which list my email & phone number, so if something changes just let us know. It was great meeting you guys at Nomadfest. I became a member of Xscapers specifically so I could attend the Annual Bash. It now looks like the event is sold out? To say I’m disappointed would be an understatement. I did the same thing Steve. I think this is a big disappointment for a lot of folks. Also, I could not find the RSVP link to get on the wait list. Looks like the wait list is sold out too. I see no links for buying anything but a meal and bootcamp. If I stay elsewhere, are day passes available for speakers or socials? Unfortunately we are at max attendee capacity and can’t sell any off-site tickets. I know this is probably not the news you were looking for 🙁 Please be sure to check out the other upcoming Convergences, including the New Year’s Eve meet-up taking place in Quartzsite, AZ. The wait list has already been closed and we are at max capacity. Unfortunately, all tickets are closed at this time so we can confirm plans and get accurate an accurate headcount. We are passing through on the day before guys break camp, is it OK to park near the rodeo grounds and walk through to get a ‘feel’ for what a convergence looks like? We are having a community day on the 15th and will open the event up to non-members and the public for the day. We would be happy to have you join us. HI- I understand that January 15 events will be open to the public. Is this correct? I am a member, but was too late to register. Want to drive in from San Diego to see the event for next year AND to see the RV Geeks! Glad to hear about Community Day on January 15th. What time are you letting the community in on this day? We would love to join you to see what the convergence is as well as see the presentations about traveling to Alaska as well as see and hear the presentation from the RV Geeks! Great to hear we can get in for a day as we wanted to attend the entire conference. A day is better than no days! How can I get on the wait list for lake havasu? There is on wait list at this time. The event has been sold out and we are not excepting any new registrations. Follow up: Our tickets went to a good home! A great time to everyone!